Prof. Rada Mihalcea has been honored with the 2019 Sarah Goddard Power Award, which recognizes individuals who have made significant contributions to the betterment of women through their leadership, scholarship, or other ways in their professional life. Mihalcea has dedicated substantial effort to developing programs aimed at introducing women to the world of computing. She has for years worked with students and student groups on campus to develop weekend programs for K-12 girls and has developed programs at Michigan to encourage undergraduate women to pursue graduate studies and research careers in the field. She is a mentor, advisor, and role model for female graduate students in CSE. In 2014, Mihalcea was pivotal in establishing and is the faculty champion for Girls Encoded, a program in CSE that hosts a number of outreach and social functions for female students. 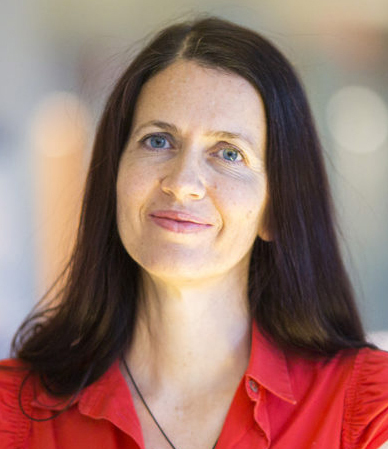 Together with CSE PhD student Laura (Wendlandt) Burdick who co-directs Girls Encoded, Mihalcea has helped to design and organize numerous events to develop a pipeline for women to computer science. In 2016, Mihalcea spearheaded the “Women in Computing” seminar series, which brings women to campus each year who have made exceptional contributions to the field of CS. These lectures are typically accompanied by an informal social event, allowing U-M students to meet and talk with these accomplished women. In 2017, Mihalcea, Burdick, and students from the School of Music, Theater & Dance held the Ada Lovelace Opera, a public event that celebrated women’s contributions to computing; it included a series of TED-style talks by female faculty and an operatic portrayal of the role of Ada Lovelace, the world’s first programmer. In Fall of 2018, Mihalcea and Burdick launched a new entry-level course designed specifically for students with no background experience in CS, including women. In addition to this, Mihalcea and Burdick recently earned a Google grant to develop a research mentorship program that will give undergraduate women in computer science valuable hands-on research experience. Through these and other initiatives, Mihalcea has consistently demonstrated her commitment to making CS accessible and appealing to as many women as possible. Mihalcea is director of the Michigan Artificial Intelligence Lab. She works on computational linguistics, with a focus on lexical semantics, multilingual natural language processing, and computational social sciences. She has held leadership roles in her research community, currently serving as Vice-President elect for the Association for Computational Linguistics. She is the recipient of a Presidential Early Career Award for Scientists and Engineers, awarded in 2010 by President Barack Obama. Late U-M Regent Sarah Goddard Power was widely acclaimed as a major contributor to the advancement of higher education, an advocate for affirmative action and human rights, and a champion of freedom for the international press. As a Regent for more than 12 years, Sarah Goddard Power worked tirelessly to advance the position of women and minorities in faculty and administrative roles. In 1998, President Lee Bollinger approved an award in her name, to be offered with an accompanying stipend. It is presented annually.